Glebar’s GT-610-SD uses machine intelligence and data to predict and preempt the machine’s operational parameters. 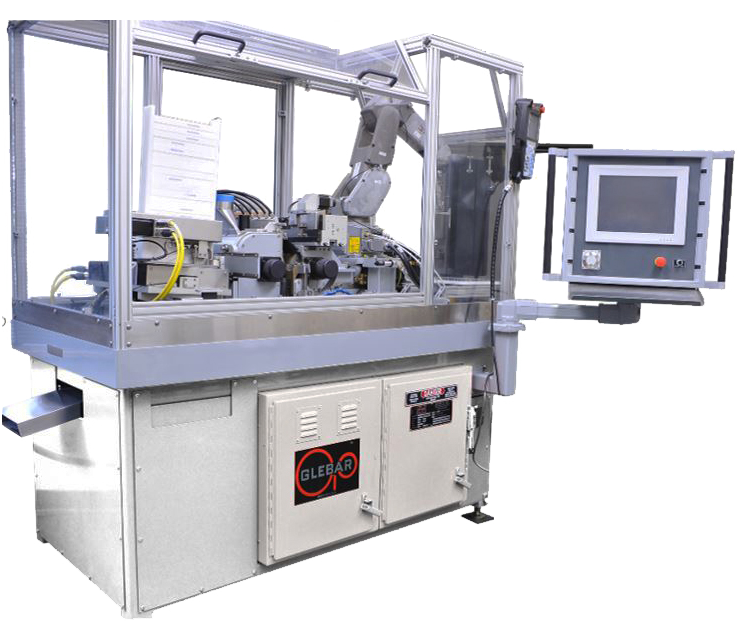 The machine is a fully automatic system and is a fraction of the cost and size of any competitors’ models. A standard employee can operate the machine, with minimal training, to its optimum capability. The production and efficiency of the machine is second to none. Glebar has the manufacturing capability to mass produce the machine to outfit any carbide or PCD manufacturer’s operation in an expeditious manner.